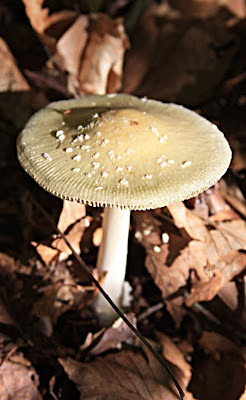 After over a week of continuous rain and gloomy days, we had a beautiful sunny Sunday yesterday. 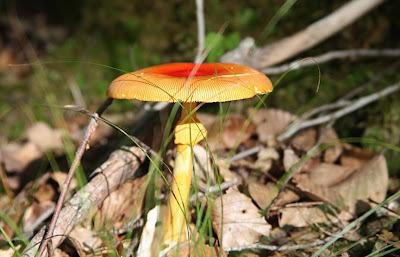 We went to the lake to enjoy the day and much to my surprise there were beautiful mushrooms emerging from the still soggy ground. 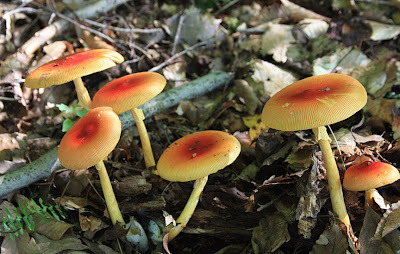 Such a lovely splash of color from nature. 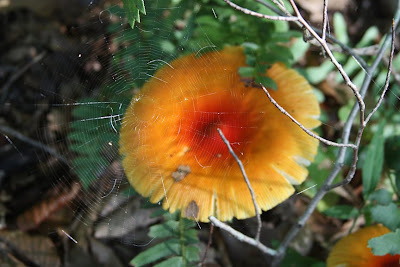 Click to enlarge to see spider web. 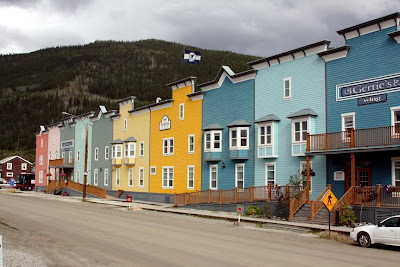 This is the colorful Dawson City in the Yukon. 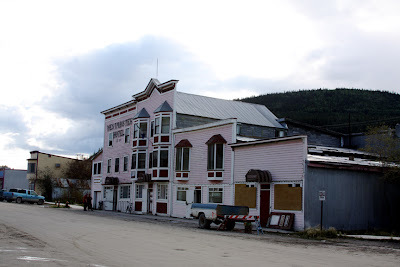 The Klondike Gold Rush had the population up to 40,000 by 1898. Today the population is 1800. Diamond Tooth Gertie's Casino is where the Can Can show is recreated as during the gold rush. 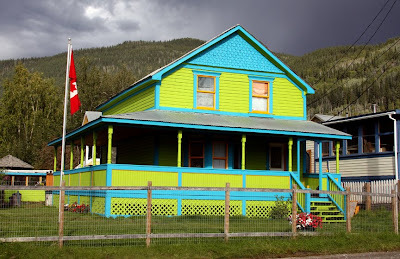 A very colorful residential house in Dawson City. I can imagine how it will look when the snow covers the ground. 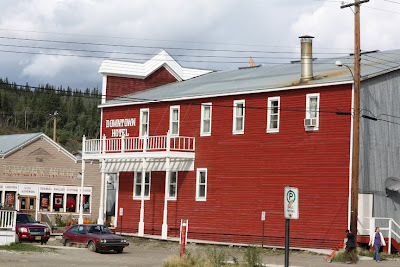 The Braeburn Lodge is located at mile 55 on the Klondike Highway about an hour from Whitehorse, Yukon. It is famous for its very large cinnamon buns. The buns looked more like a cake. It took several days to eat even after sharing, I am told. The story goes that a small airplane had a blowout in the cold winter and used a bun for a tire. 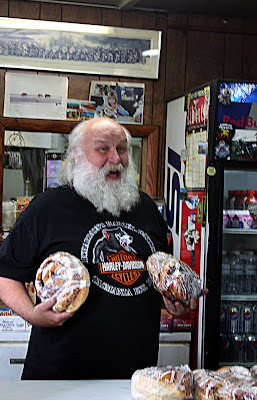 The owner of Braeburn Lodge holding some of the cinnamon buns. 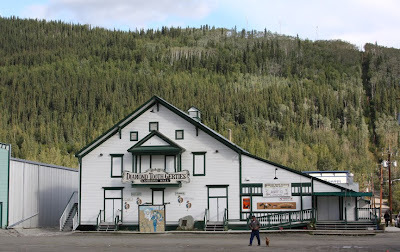 The lodge is a checkpoint for the Yukon Quest dog sled race. The Cinnamon Bun Dog Sled Race, a 200 mile run, is held in February. 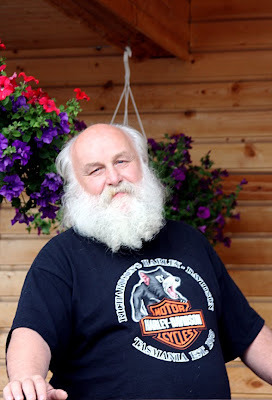 Compare the owner of the lodge to the figure of the fisherman below. 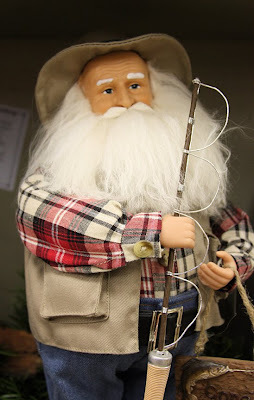 The fisherman figure is sold in the Santa Claus House in North Pole, Alaska, about 15 miles from Fairbanks. 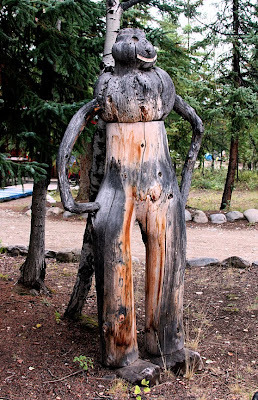 The figure is about 12 inches tall. 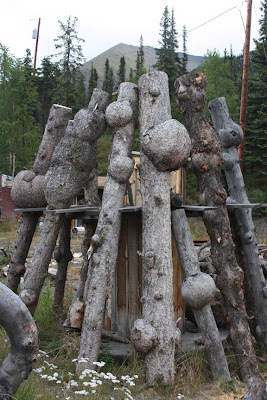 Two things that I did not think of seeing on our trip to Alaska and the Yukon were mosquitoes and burl. 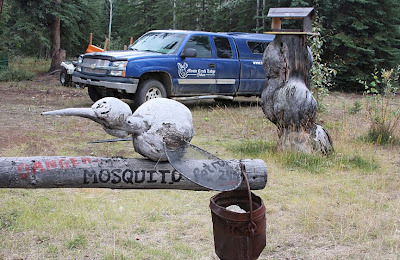 Lucky for us most of the mosquitoes are in the early summer and not in August. 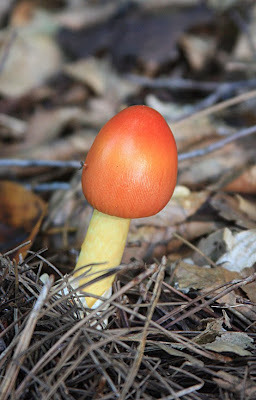 We did see one the size of a house fly, which lit on Cres. Usually I am the one that mosquitoes go for. 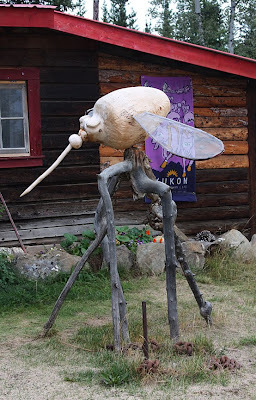 This rendering of a mosquito from burl shows the sense of humor that one must have to live in this part of the world. 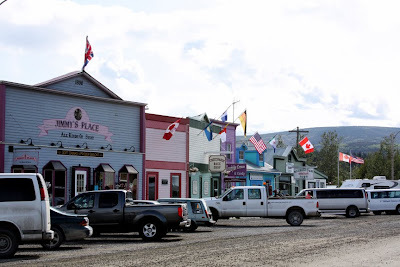 All the rest stops on the road trip were were as appreciated as they were during the Klondike Gold Rush. 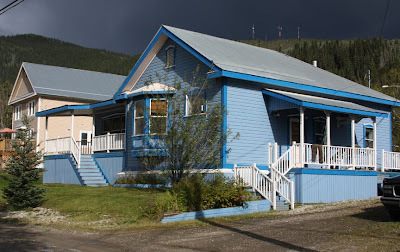 Also delicious berry pies were baked fresh every day at these lodges. A burl is a tree growth in which the grain has grown in a deformed manner. 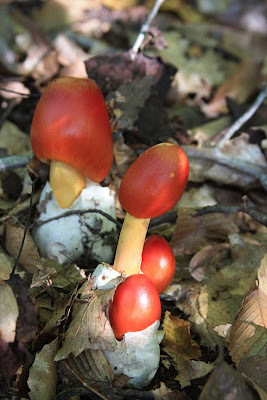 It is caused by some kind of stress in the environment. 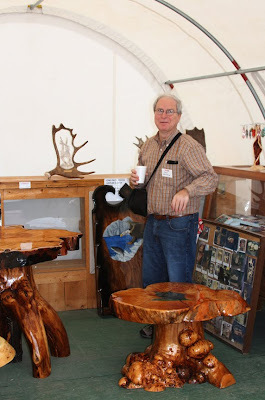 Cres at Burl World looking at a moose antler carving on the top of the cabinet and furniture made from burl. 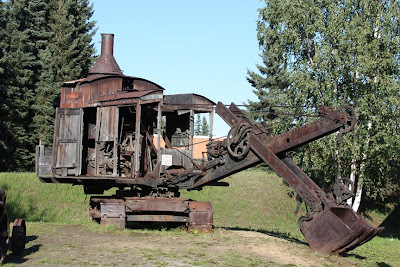 Alaska and the Yukon have a lot of old stuff. When one lives in a remote part of the country old stuff means having a part to fix something else when you can't get out at -40 degrees. 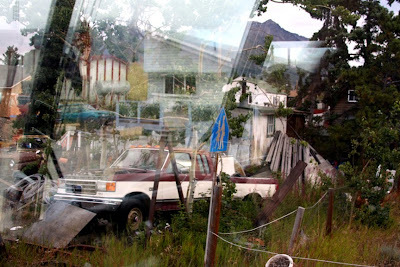 One can see old washers, cars and other old worn out stuff in the yards in rural Alaska and the Yukon. Also where does one take old stuff when you live miles away from a town. 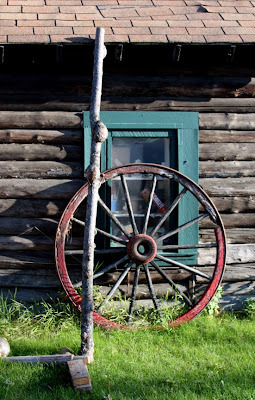 Wagon wheel and burl pole in front of old log cabin window. 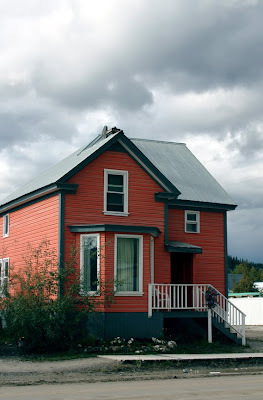 The cabin has sunk down because it was built on the ground and has melted some of the permafrost. Some old stuff was kept to show the past. 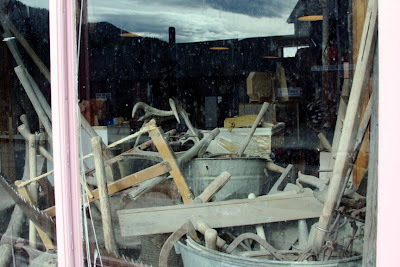 Most of this old stuff shows the life of the gold miner and the stuff they used to live in the new frontier of Alaska. 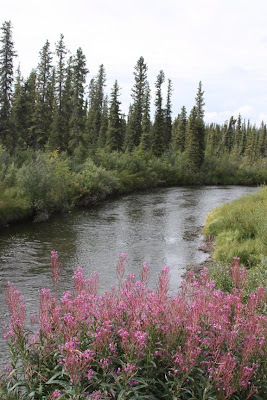 Fireweed is used as the Alaskan calendar. It is beautiful up-close or viewed as a pink meadow in the distance. 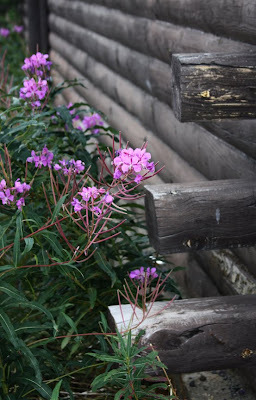 When the blooms reach the top of the plant summer is almost over. 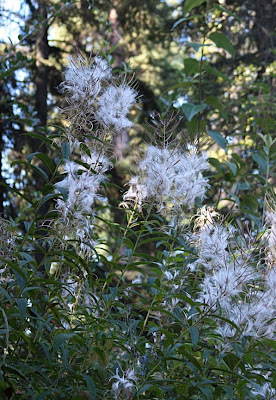 When the white cottony seeds form, winter is about six weeks away. 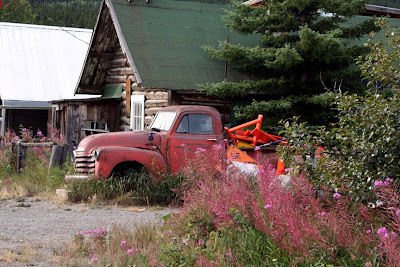 For some Alaskans the plant is a daily reminder that they have a short summer and they hurry to get things done. 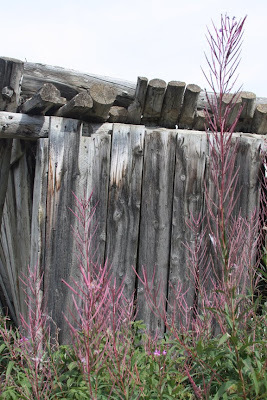 The fireweed can bring a range of emotions - happiness, dread, or industriousness. 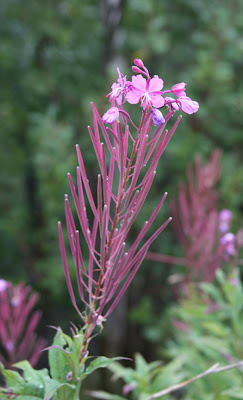 Fireweed with blooms at the top, showing that summer is almost over.